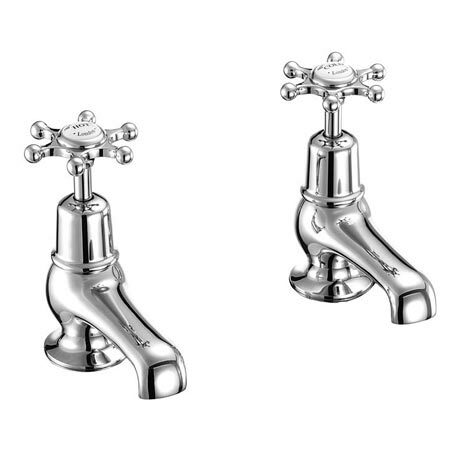 A pair of 3" Chrome Birkenhead Basin Taps from Burlington, it's classic design brings a touch of elegance to all Bathrooms. All Birkenhead taps have a six spindle tap head with a ceramic indice in the center. Manufactured to the highest standards using the latest technology. All tap indices are made from ceramic - absolutely no plastic!